Cooperation with civil society organisations in the fields of education, training and youth is essential to create a broad sense of ownership in relation to learning strategies and policies, and to take into consideration stakeholders' ideas and concerns at all levels. It is vital for securing the active involvement of stakeholders, for promoting their participation in the Erasmus+ Programme and other European programmes and for disseminating policy, programme results and good practice through their extensive membership networks. — Raise stakeholder awareness of the EU Youth Strategy(2) for the period 2019-2027, based on a Commission proposal (3) and expected to be adopted by the year's end. — Develop, promote and support actions to engage, connect and empower youth in the spirit of the EU Youth Strategy. — Increase awareness and youth participation in EU actions for young people, including the recently established ones such as European Solidarity Corps and Discover EU. — Increase stakeholder commitment and cooperation with public authorities for the implementation of policies in areas relevant for young people. — Boost stakeholder participation in the field of youth. — Boost stakeholder involvement in the dissemination of policy and programme actions including results and good practices among their membership and beyond. — Foster the development of competences and skills through non formal learning, youth organisations and youth work; promote digital literacy, intercultural learning, critical thinking, the respect of diversity, and the values of soli­ darity, equal opportunities and human rights among young people in Europe. — Contribute to the implementation of the Declaration on promoting citizenship and the common values of freedom, tolerance and non-discrimination through education adopted in Paris on 17 March 2015 for example by main­ streaming the promotion of civic education, intercultural dialogue and democratic citizenship in their work programmes. — Contribute to the implementation of the action plan on integration of third country nationals adopted on 7 June 2016 by launching and promoting actions and projects which deal with the integration into the hosting society of young people with a migrant background, including the newly arrived refugees. All the above activities should contribute to widening the outreach towards young people to ensure a diversity of voices, reach young people within and beyond youth organisations and youth with fewer opportunities, thereby using a variety of channels. This Call is open to two categories of bodies: European non-governmental organisations (ENGO) and EU-wide networks (informal network). — Involve young people in the management and governance of the organisation. — Involve young people in the management and governance of the network. For British applicants: Please be aware that eligibility criteria must be complied with for the entire duration of the grant. If the United Kingdom withdraws from the EU during the grant period without concluding an agreement with the EU ensuring in particular that British applicants continue to be eligible, you will cease to receive EU funding (while continu­ ing, where possible, to participate) or be required to leave the project on the basis of Article II.16.2.1 (a) of the General Conditions of the grant agreement. — Candidate countries for which a pre-accession strategy has been established, in accordance with the general princi­ ples and general terms and conditions laid down in the framework agreements concluded with those countries with a view to their participation in EU Programmes: Former Yugoslav Republic of Macedonia, Serbia (1) and Turkey. The applicant bodies must present a consistent work plan integrating non-profit making, youth-led activities which are suitable for pursuing the objectives of the Call. — Media and communication activities and tools on youth and European matters. As a transversal principle, applicant bodies should pursue strategies to connect to young people at grassroot level from a diversity of backgrounds with a view to ensuring a growing number of young people at the grassroot levels are being reached. The present Call for proposals offers the opportunity to apply for Annual Operating Grants (1). Annual Operating Grants focus on short-term cooperation at European level. Applications must contain a detailed 12-month work programme (annual work programme) for 2019 together with the information needed to calculate the grant. — Impact, dissemination and sustainability (maximum 20 points). 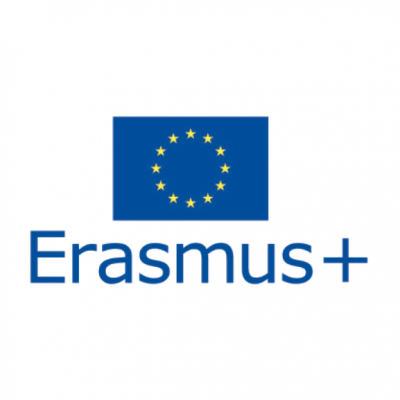 The eForm is available in English, French and German at the following Internet address: http://eacea.ec.europa.eu/ erasmus-plus/funding_en and must be duly completed in one of the official languages of the EU. Compulsory additional annexes (4) must be sent by email to the Agency by the same deadline.